Spare Fan for ElectroSpindels with DC fan cooling | DamenCNC B.V.
ElectroSpindels with DC fan cooling have two major advantages: they produce much less noise, and they allow the motor to run at very low RPM while maintaining enough cooling. 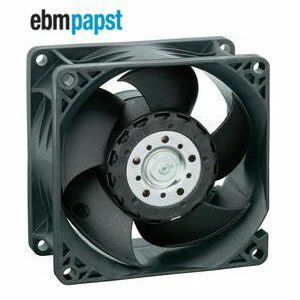 Downside is, the DC Fan is not designed for the fast, sudden, radial movements of the milling motor in a CNC machine. This decreases the durability of this fan dramatically. Fortunately, this fan is easy to replace.